Quite obvious that this was a former retrofitted 50's model-turned-Centennial. Old 50's ceiling and tile with Best Cellars signage. 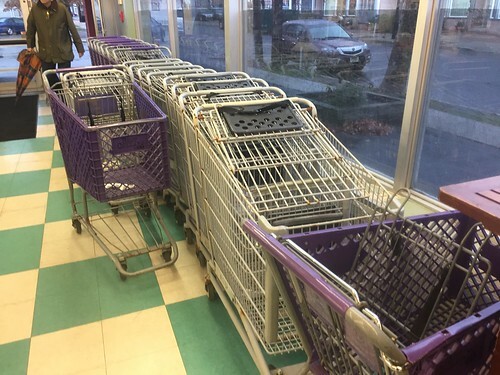 A mix of both A&P carts and Best Cellars carts... Why didn't A&P use purple Technibilts for their Best Cellars brand? It would look a lot better than the cheapest plastic carts money can buy. 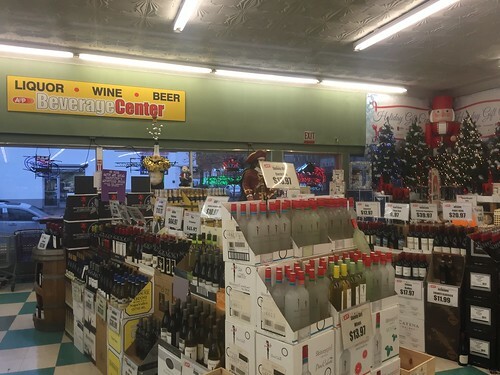 While this store is said to be Warehouse Liquors, inside it is called both Best Cellars and Beverage Center. Which one is it? 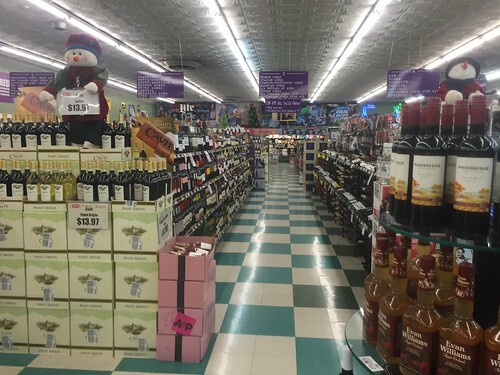 Although I'm not sure, going by the Summit, NJ location, I think the name "Best Cellars" replaced the name "A&P Beverage Center" in a renovation or store reset, although some stores did also keep the original Beverage Center signage. I don't know where Warehouse Liquors comes in here! That would be correct. It's surprising that A&P didn't renovate all of their liquor stores... if I remember correctly, they only had what, 10-12? The Best Cellars in Greenwich, CT (Now A1) had a pretty extravagant renovation that revolutionized the beer & wine industry. I have no idea where Warehouse Liquors came from, either. I'd make a pretty good prediction based upon the 1986 campaign "Warehouse Prices", which showed that A&P had lower prices than competitors in their "warehouse" style, which would show up in other chains in the mid-90's. The "Warehouse Liquors" format was probably an extension of that campaign. There have been a few others that have had the "Warehouse Liquors" branding, but their signs have been changed out. Locations include Waterford, CT (In a Stop & Shop plaza... very odd), and in Ledgewood, NJ. 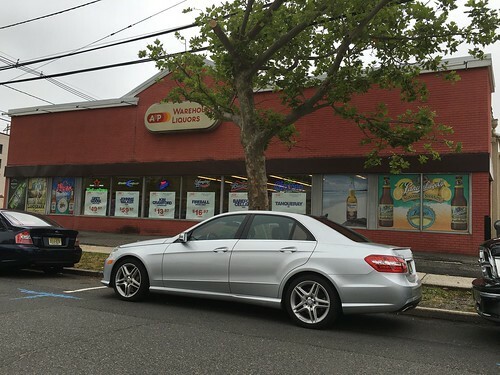 Warehouse Liquors was also in Point Pleasant Beach, NJ. When I was in high school and working at Foodtown, we used to send customers there as they were the closest liquor store.